EDSA (English Department Student Association) is a dynamic undergraduate organization at UPRM, where students come together with their vast talents to pursue higher levels of learning by interacting with colleagues and professors alike in a welcoming and intellectual environment. They coordinate the vast majority of English Department events, foster camaraderie amongst like-minded students (and seasoned educators), address the concerns of its constituents, and perpetually strive to better the experiences of the student body within the department. 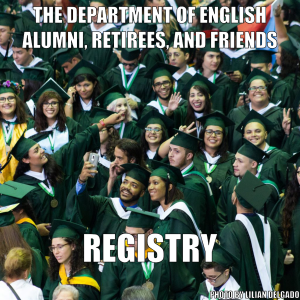 To extend the influence and accessibility of the English department by fulfilling the role of a student-focused and faculty-conscious collective, responsible for coordinating events and undertaking initiatives that foment a greater presence and position for the English department within the university’s community. And 1 Children’s Library Event or 3 hours of community service (per semester) at the library.